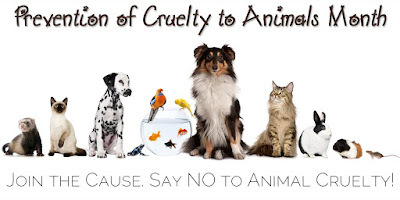 April is designated as Prevention of Cruelty to Animals Month by the ASPCA. The ASPCA website contains checklists of how to report and recognize animal cruelty. This month, take the ASPCA pledge to make all animals in your community live happy and healthy lives. Support your local animal shelters and animal rescue organizations! 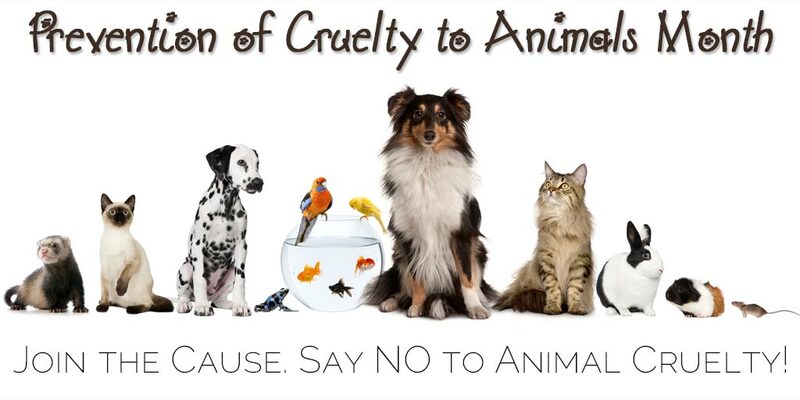 Report any type of animal abuse!